Health and fitness are always in the media. 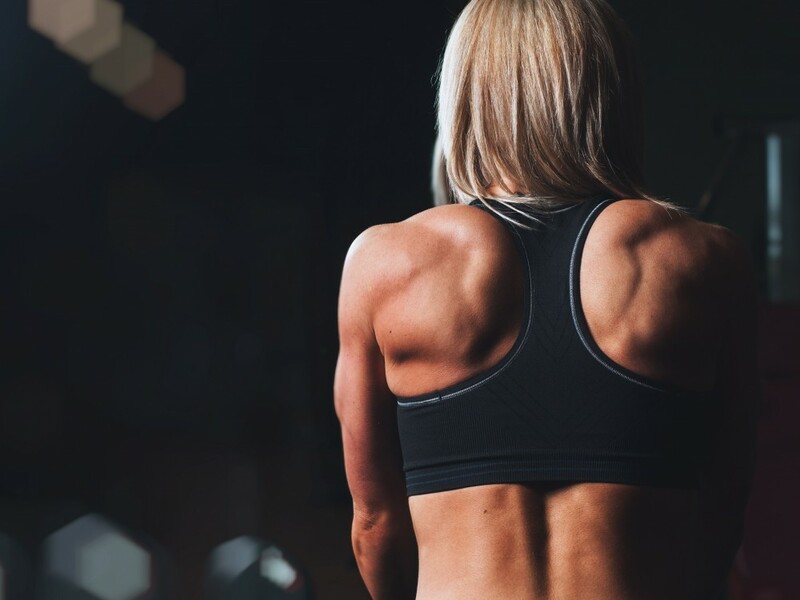 Everyone wants to look their best and feel their best so I’m not surprised if you’re a personal trainer, yoga instruction, health and wellness coach or gym owner that has landed on this page, ready to build your own website. Welcome! 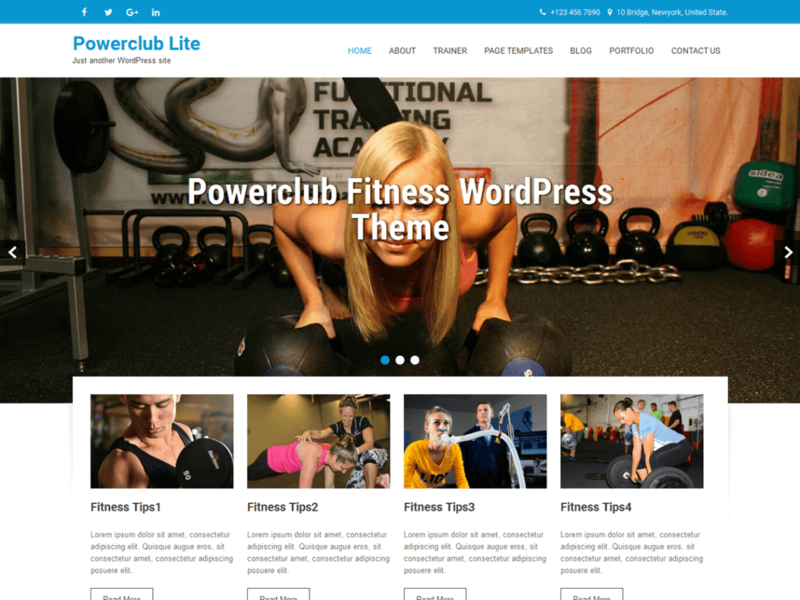 We’re here to help you out, providing you with a list of 10 Free Personal Training WordPress Themes for 2017. Each of these are easy to set up and easy to manage. WordPress has the most user friendly interface on the market today so if you’re an amateur this is the CMS (Content Management Software) platform to use. And because it’s the most popular there are a ton of awesome features you can add, the savvier you get. 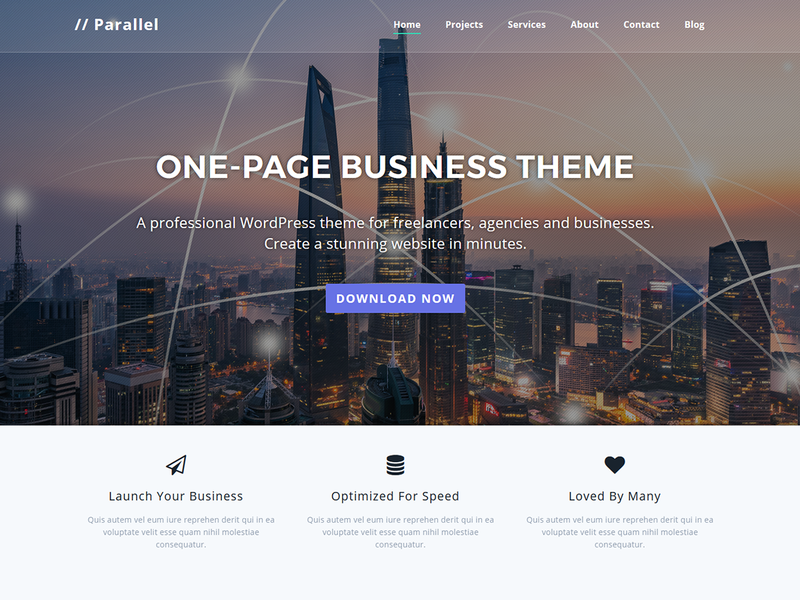 You can add some really good parallax effects to give it that premium look, create collapsible menus, and customize colors and page layouts. If you don’t see one you like here you might want to check out our 10 Free Beauty & Spa WordPress Themes 2017. 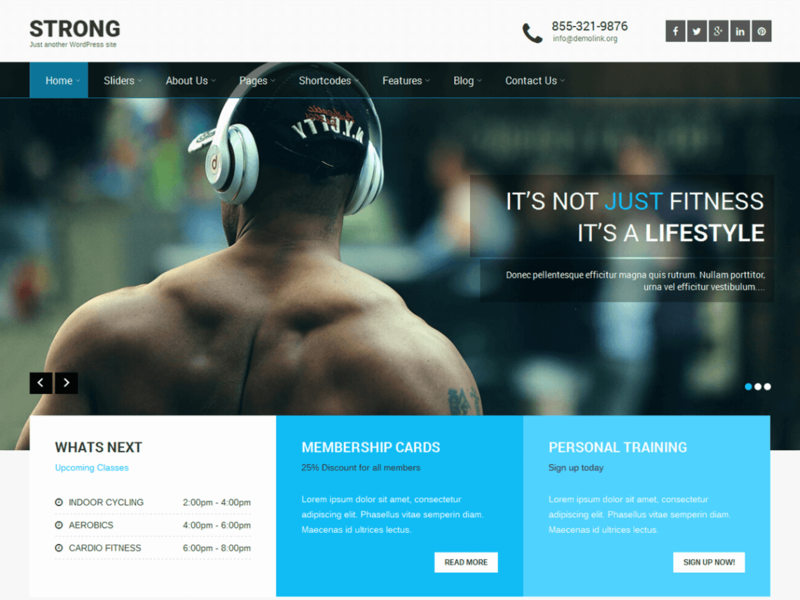 A personal training business can easily be used with any of these designs. Free does not always mean less quality and that is why we have sifted through the wordpress database to present you with a list of free templates that are of premium quality. Enjoy! And let us know what you think or if we’ve missed a really great theme from this list pass it our way and we’ll add it. 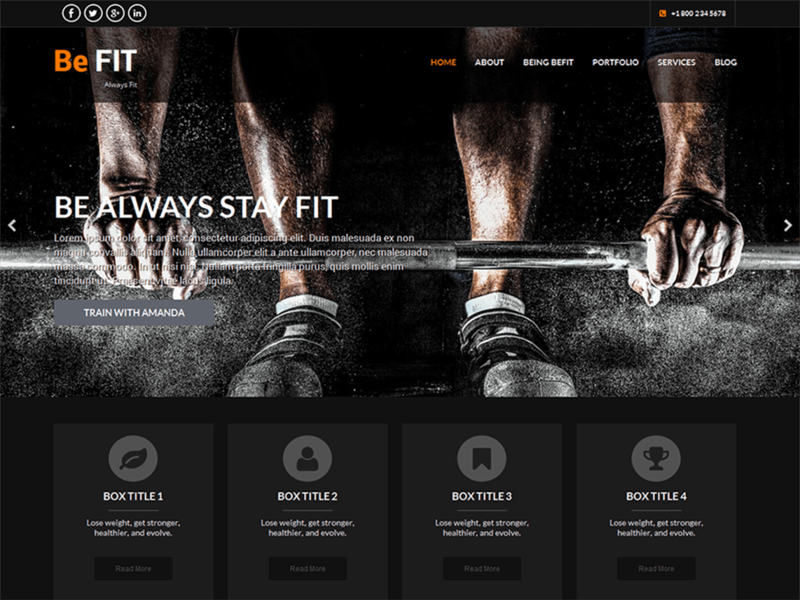 SKT Strong is a responsive crossfit WordPress theme which can be used for gym, fitness, personal trainer, studio, yoga, boxing, aerobics, spa, health, workout, portfolio and other multipurpose local business use. Compatible with gallery plugins, contact form plugins, SEO plugins and is translation ready and multilingual ready. 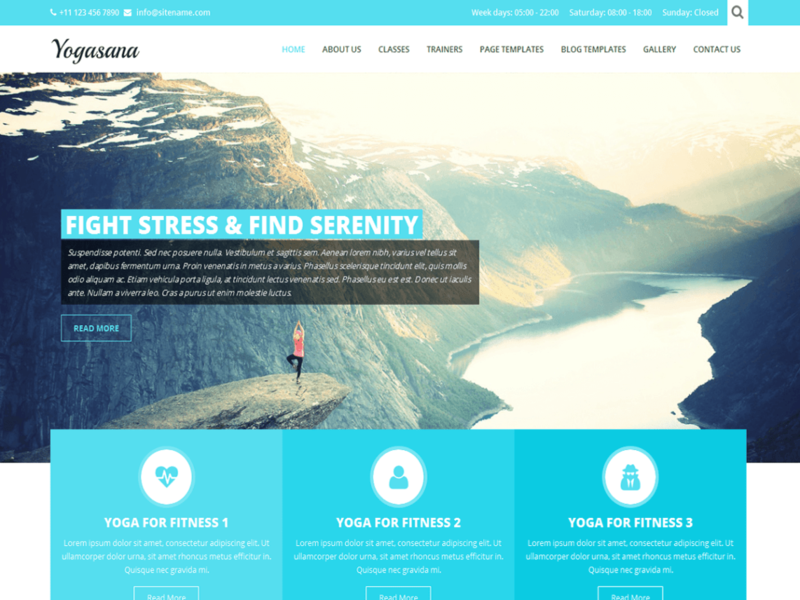 Wellness is a responsive multipurpose WordPress theme for Health, Fitness and Wellness. It is built upon WP customizer so you can update and view changes in real time. Built in Color Scheme, Header manager, Featured Post sliders so that you can setup your website quick and easily. It also comes with 6 build-in widgets i.e. About, Classes & Training listings, Recent Posts, Services Listings, Social Icons and Client Testimonial. Wellness theme best suits to your Spa, Salon, beauty center, parlor, massage center, health care, make up, massage, nail, physiotherapy, salon, skincare, wellness, yoga, fitness, gym, Pilates, muscular, health club, trainers, weight loss and other alike businesses. It can be used for multipurpose use and is also suitable for photographers, business, corporate, blogger and other personal websites. 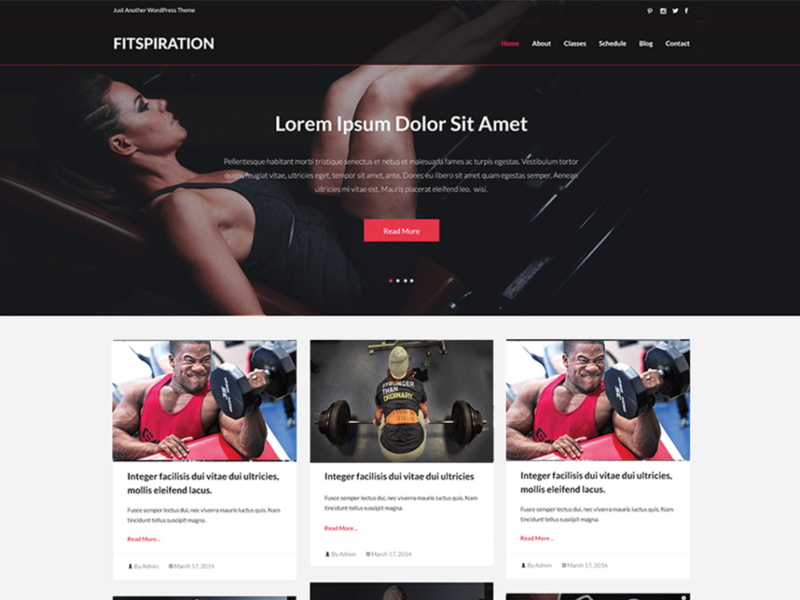 fGymm is a Fully Responsive Gym and Fitness WordPress Theme designed for health and fitness clubs, CrossFit programs, fitness professionals, personal trainers, etc. Features include built-in Homepage Slider, Multi-level Drop-down Menu, W3C markup validated, Search Engine Optimized, Header and Footer Social Icons (Facebook, Google+, Twitter, LinkedIn, Instagram, Tumblr, YouTube, Pinterest, VK, Flickr, Vine), Sidebar and 3 Footer Widget Areas, 3 Homepage widget areas, Full-Width Template, Multiple Browsers Support, Translation Ready and much more. 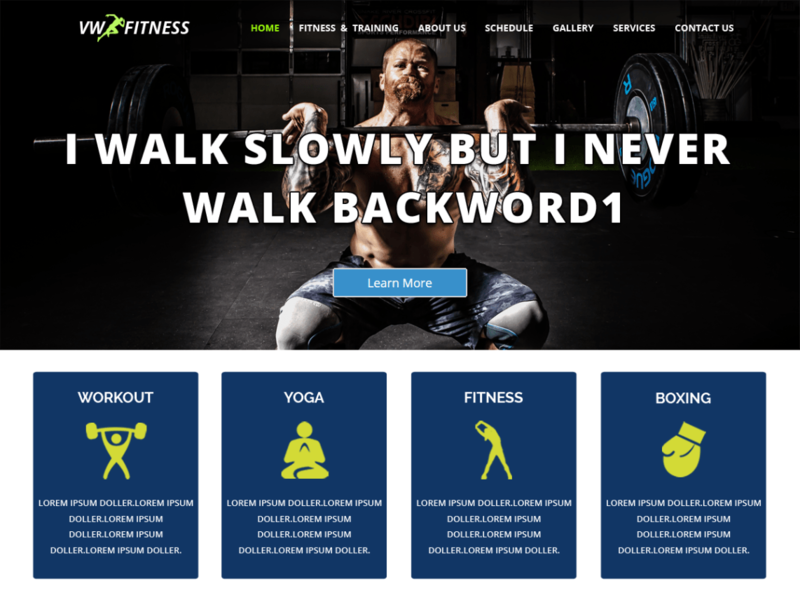 BeFit is a simple, flexible fitness, personal trainer responsive WordPress theme catering to gym, yoga, pilates, muscular, health club, fitness, trainers and other alike businesses. It can be used for multipurpose use and is also suitable for photographers, business, corporate and other personal websites. 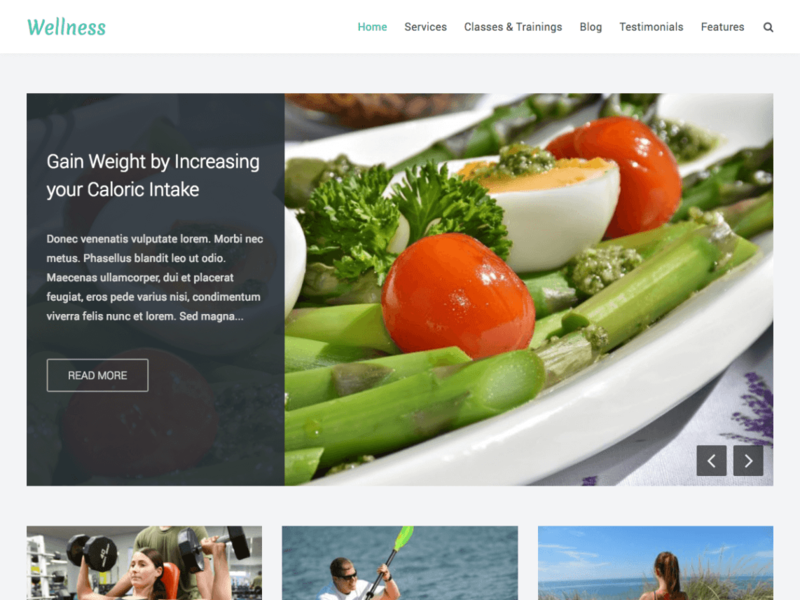 GymPress is a Free Fitness WordPress theme perfect for Gym, Yoga, Fitness, health, wellness spa, massage center, weight loss, hospital, clinic,restaurants,cafe, physiotherapy, portfolio, photography and more business. However, due to its flexibility and easiness it can be used to create any types of sites. 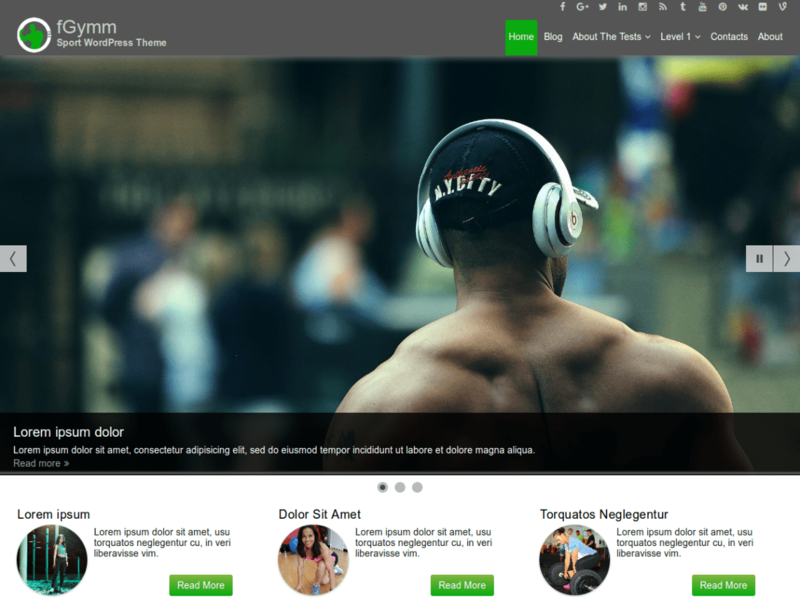 this Theme build in customizer it is very easy to use and user friendly. 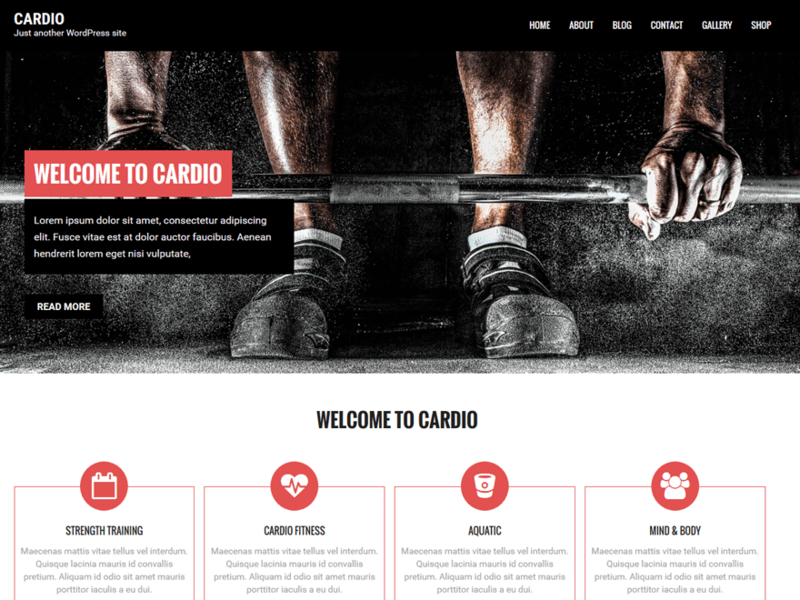 Cardio is responsive WordPress theme for fitness, gym, health, medical, spa and also for other industries like business, corporate, consultancy, photography, personal blogs and many more. 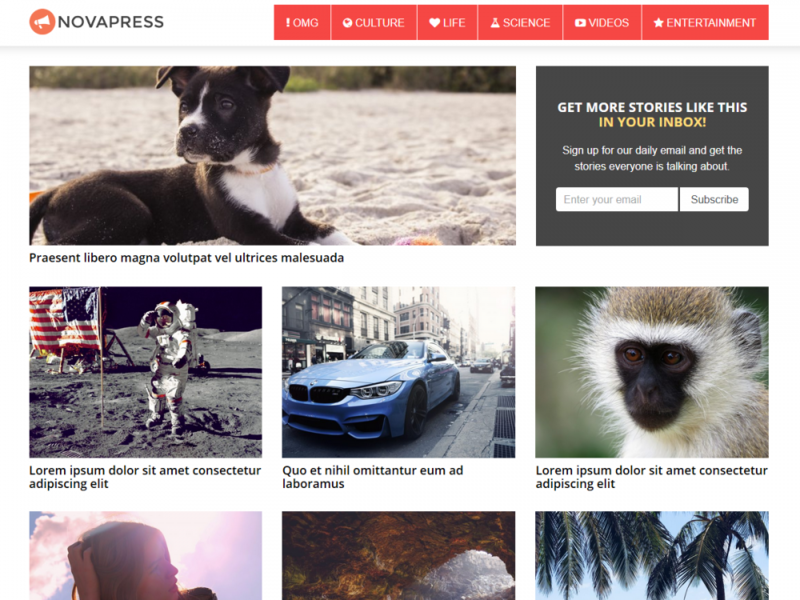 This theme is comes with the nice and easy to use features in customizer. 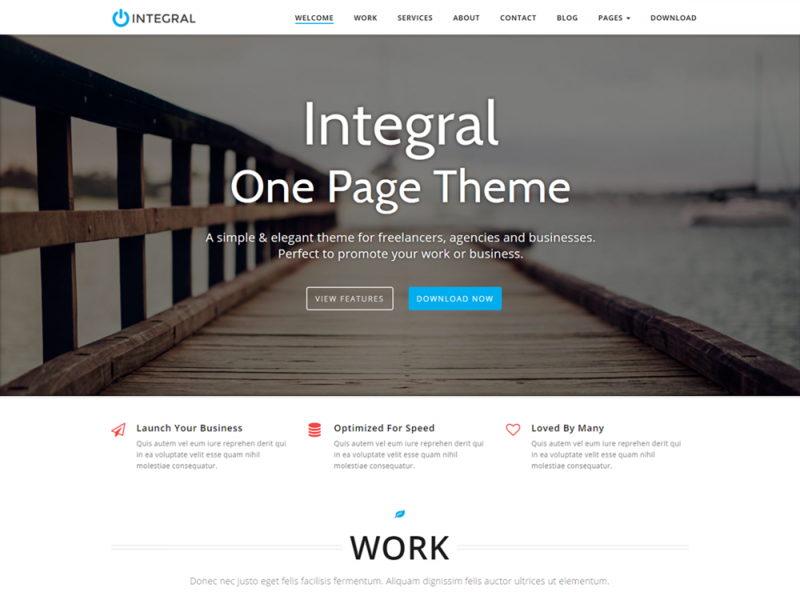 This theme is compatible with the plugins like woocommerce, contact form 7 and jetpack.